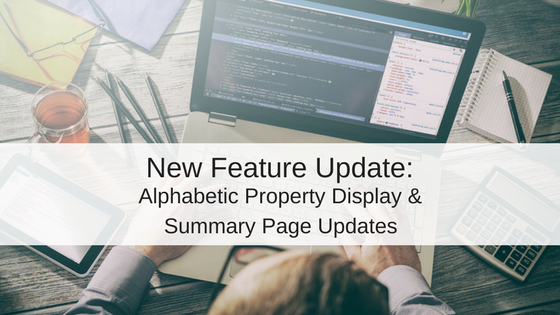 We’ve increased the flexibility of both the management fees (for property managers) as well as the late fee functionality (for landlords and property managers). 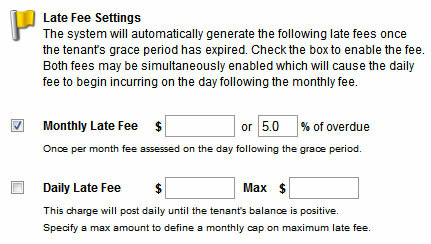 Management Fees can now be automatically charged based on a percentage of tenant payments. 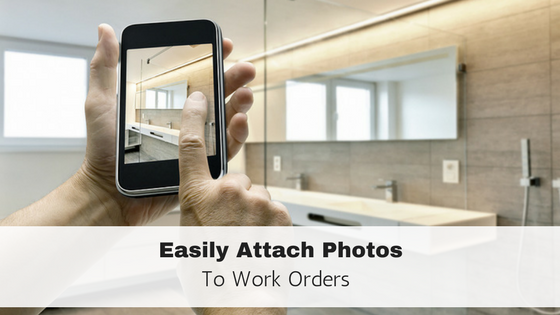 This can incorporate rental income, late fees, or any other inbound dollars from tenants. 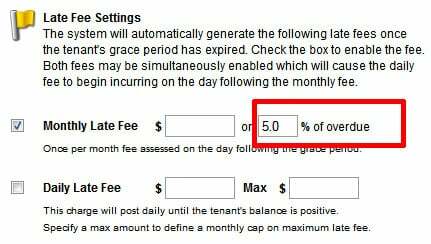 To use this new feature, edit your management fees, and specify a percentage in the “Percentage of Tenant Payments” as displayed in the screenshot below. 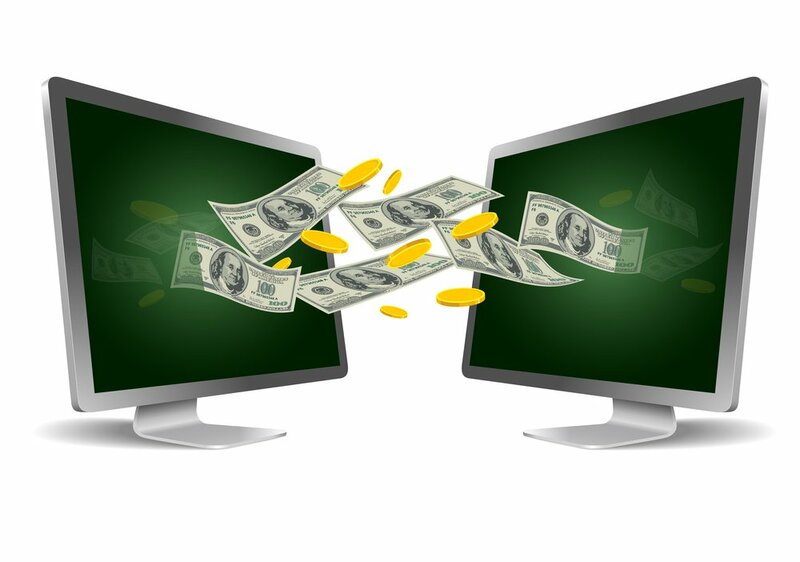 You can also specify multiple fees via this interface and each selected fee will be charged. Late Fee functionality has also been improved. There is now a new option to charge a percent of overdue as the late fee. For instance, if the overdue balance is $1000 and you specify 5% as the late fee charge, it will automatically post a $50 late fee after their grace period expires.